The last time Detective Anna Pallino saw Dante Renaldi, they were in love. Now, he’s part of the connection to a string of fresh homicides and a horrible assault Anna only survived thanks to him. So, it’s 7 AM as I’m writing this; didn’t sleep at all last night, I was too busy reading. And now we can chat about this awesome book over a cup (mug) of coffee. God, I love my coffee. Uhm, sorry, I get sidetracked easily when I don’t sleep. I was totally hooked into the story from the title, to be bluntly honest. And, well, ok, so the cover had me sold on wanting to read this like 50% (any more would make me seem shallow…I’m not shallow, but the percentage was bigger, lol). 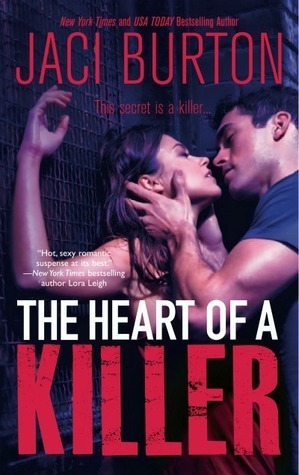 When I looked at that cover my thought process was something like “Steamy…murder…intense…murder…SCORE!”, more or less. And as often is the case, my gut instinct was right on the money, or right on the novel as the case is. After reading the first chapter, I was having this guarded sort of attitude, I mean the book is categorized as “FICTION – ADULT: Romance: Contemporary”, so I knew it wouldn’t sneakily go YA on me and ruin all my expectations, because that cover coupled with everything else was a golden deal for me, though only in a mature voice. I’m cool with YA, but only when I wanna read YA, and I don’t much like surprises in that I’m expecting some grown up reading and then discover a sneaky YA in there; I’m cool with the other way around though. But that chapter had a great feel, so I thought right then and there, I would totally be game with a YA version of this story too. Luckily though, it went on to be soundly mature after that. The writing was really cool, it flowed beautifully, very conducive to a great suspense atmosphere, and the characters were really cool, pretty much all of them, and that’s not an easy feat to pull. I didn’t like all the characters, but they were all cool to read regardless. I especially disliked Roman and his “honey” blabbing up and down and all over my read, and I was sort of troubled over my reaction to him up to point. I liked the rest of the brothers, Gabe more then Roman for sure, and obviously Dante the best. I mean, who wouldn’t, army guy, Special Ops, black ops, action-yummy-uniform-man with blue eyes and all that magnetism? Seriously, Dante was so good, I want to read stories from parallel universes about him in like 100 relationships. Yummy doesn’t begin to cover it; the man is that really smart, really sneaky sort of guy, great instincts, all trained and muscled all over, take-charge…the assertive type, you know? The kind that gives you a squeeling fit just by giving you the full force “I want you and we both know I’m gonna have you, and I’m gonna have you real good” stare? Yeah…when those come in stores, I’m totally signing up on the waiting list for one. If there’s anything I’d tweak a little about this novel maybe it would be the pace in some places. I mean, a suspense has to have the right pace to keep you all tense and wondering, but slow enough to build real substance, and a lot of the time I felt we were exactly where we should have been, but there were a few parts where I wished we’d be moving a bit faster. This would easily be a 5 butterflies read for me, it has it all, a really interesting plot, good writing, charming characters, the right atmosphere – a delight. I could have gone fangirl all over it if it had been juuuust a tad bit faster in places. But it’s awesome as it is. To sum it all up, if you like romantic suspense I say you should totally give this a try, it was an awesome way to spend my hours!